Questions You Must Ask Your Web Hosting Provider! Problems never knock your door and come! So does your customers. We have no idea at which point of the day or night, the customer will reach your website to look up for some services. In case your website page in unavailable at the moment, he will be disappointed and will not return back to you ever. Agree? This means your website needs to be finely and smoothly working 24/7 to offer your customers the desired outputs. What is the need of a web hosting provider? Majority of the organizations have got a web hosting provider for their websites to get rid of any of the above problems. The vendor keeps a check 24/7 on your website to make sure everything is working perfectly, and if there is a need for an update or changes. Especially in the startup stage, it becomes necessary to get a web hosting provider for managing your website. And taking the decision of choosing a suitable web hosting provider can be a challenging task if you are new to the industry. Questions you must ask your vendor! 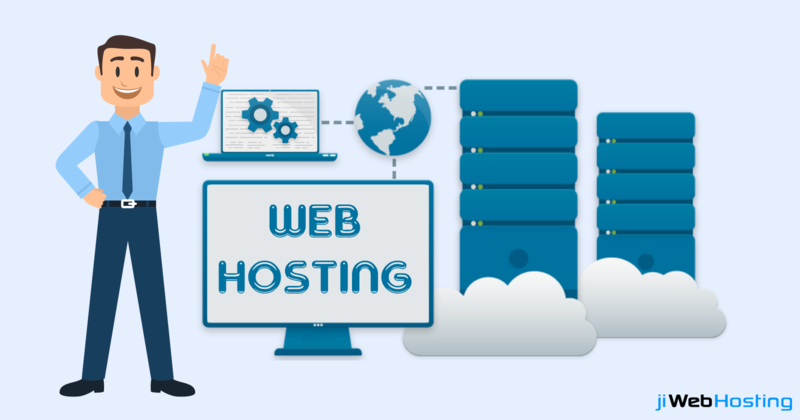 Before you go out in the market to look up for a web hosting provider, make sure that you ask him some necessary questions! Here's a list of questions you must put before the vendor, and if you get a positive response, go ahead! Otherwise look up for another one! 1. What is your security policy? It depends on the vendor if he provides security measures for your website or not. Some of the hosting providers will simply provide you with some tools and leave the security upon you. While other vendors offer complete and assured security solutions from any data attacks, hacks, and regular anti-malware scans. Also, make sure if the security solutions are included in the hosting plan itself and not asking for extra charges separately for it. 2. Is the provider offering a range of hosting offers? Every organization has different requirements and needs, so make sure what kind of hosting environment they are offering you! Understand their policies if you want to scale up or down. Ask them if you need changes in future, if you want to make changes you can change hosting plans, instead of changing hosting provider. 3. Does the provider offer SSL? If yours is an e-commerce website, then you simply can't go without enabling SSL. As the customers will log in their account and save their information over the website, it becomes necessary to safeguard all the user data. SSL will keep all the data secure by encrypting the user data and keeping it away from the hackers and other attacks. Most of the good hosting providers like jiWebHosting already provide SSL solutions, but if yours isn't providing then make a switch! 4. What about their downtime history? Downtime simply means that the website pages aren't available to the customers for quite a time. Ask the hosting provider about any of their past downtimes. If the answer is a yes, then it would be trouble choosing this vendor. Obviously, you can't display a blank screen for your customers and present a bad reputation of your organization. 5. Is the vendor providing Multiple Add-on Domains? If you own only 1 domain, you might be okay with an ordinary web hosting provider. But when you have more domains, it becomes essential to look up for a vendor which allows multiple domains to be added. Majority of the vendors offer a minimum of 25 add-on domains to one account, so ensure this before choosing the vendor. 6. Do they have backup policies? Ask your vendor about their backup policies about how often do they carry out backups. And is it on a daily, weekly, or monthly basis? Make sure that the vendor not only backups the website data and files only, he does backups the database too. We simply can't compromise the data in case of data loss or any website crashes, so make sure about these points. 7. What about the customer service and availability of support services? We can't choose a vendor who offers you tools and leaves everything on you. Whenever you need assistance or you have queries regarding any service of theirs, the support team must be available regardless of time boundaries. So, ask them if they have 24/7 support services or not. 8. Do they offer any free-trials or demo sessions? Before you make a choice, ask them for a 15-day trial or 30 days free trial to make sure that the vendor is suitable for you or not. If they are offering the demo, good enough. Otherwise look up for a new vendor because you can't risk a huge capital on a wrong vendor. Choosing the right hosting provider can help your website work efficiently as desired while choosing a wrong one can put you in trouble. So, make sure that you are aware of the points and then step forward in the market. By now, you would be clear about all the possible dilemmas that were striking your mind. Right? Still, if you have any queries or questions, feel free to reach us. Our team would be glad to assist you with satisfied answers!